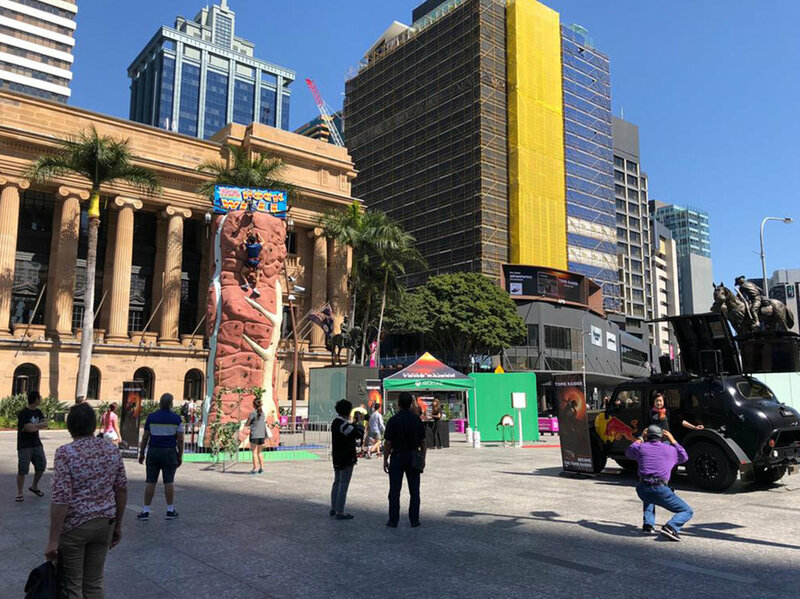 The task was to develop an interactive and experiential photography solution for the launch of Shadow of the Tomb Raider that made visitors feel as if they were living out their very own tomb raider experience. Using a rock wall and our unique green screen technology, visitors were transported into their very own tomb raider scene. On their ascent, photos were taken and displayed on the Big Screen with the help of our friends at APM Outdoor. After their ascent, each guest received their very own photo of this unique experience. 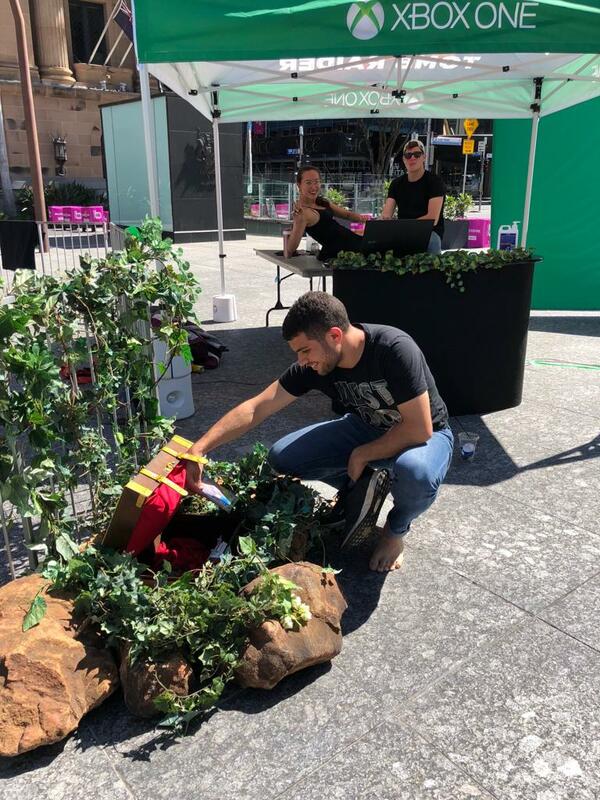 Guests were also able to have themed face painting, take pictures in-front of our green screen with its large assortment of props, and could play Shadow of the Tomb Raider on the numerous Xbox Ones at the event. Throughout the two-day event, guests were also given the chance to win a copy of Shadow of the Tomb Raider on Xbox One. Through our innovative solution, visitors were transported into their very own tomb raider experience where they could feel a part of the game. With over 1,000 photos taken, the success of this event was unparalleled.